Posts menu item displays a screen that lists all the posts in a tabular form. This option provides ways to customize the screen in number of ways. Hide or display the columns by checking/unchecking the boxes next to the title. Pagination option allows you to choose the number of posts that you want to display per page. View mode enables you to choose from list view or excerpt view mode. Once you are finished with choosing the required options click on blue colored apply button to make the changes in the screen. Next to screen option is the help tab that provides an overview of the current screen and a brief explanation of management of post. 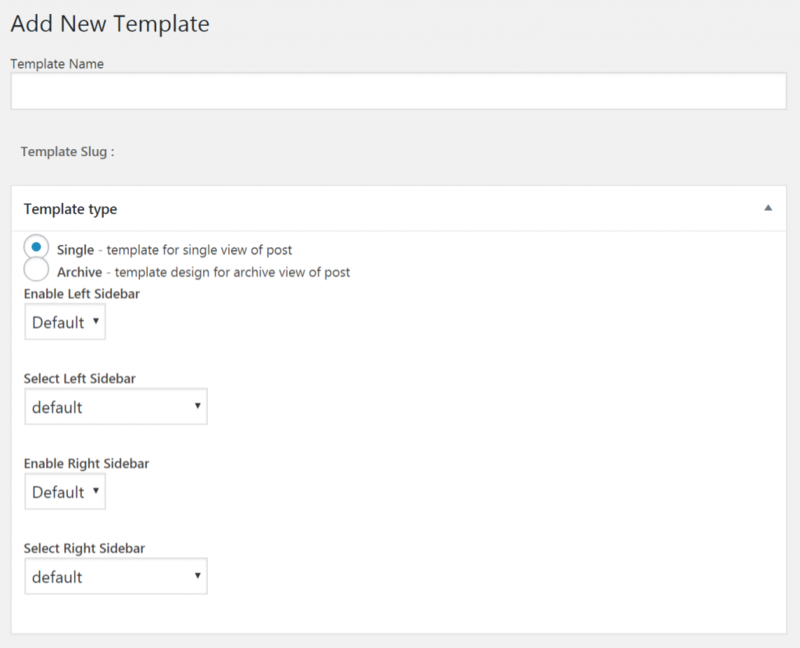 : The checkbox is clicked to select more than one posts to perform bulk action. Title: This is the title of the post displayed as a link. When title is clicked it takes you to the edit post screen. The text below the title of post displays the nature of post i.e if it is a draft, pending or a password protected type. "ID": This is not displayed as a column of the table. When the mouse hovers over the Post Title, the Post ID is revealed as a part of the URL, displayed in the browser status bar. It is a unique number that is used by WordPress's database to identify the posts. Author: This column displays the author of the post. It is displayed as a link. By clicking a particular author link, the list of all the posts by the authored user is displayed in the tabular form. Comment Bubble: It is the column heading. Each post row has this section where the number of comments for the post is displayed. When blue comment bubble is clicked it displays comment screen so that comments can be moderated. Categories: Displays the categories as a link, assigned to the post in each row. When a category link is clicked it displays the list of all the posts in the table. Tags: Displays the list of tags as links, related to the posts. When the tag link is clicked the list of related posts displays as a table. Date: This column displays the "Published" date for each of the post. Columns with headings title, comment, and date allow you to sort the table of posts in ascending or descending order. By hovering over the headings, up or down arrows appear. Accordingly, click on the column heading to sort the table post. Below the screen options, the number of items displayed per post is mentioned. If the posts increase by one page of Posts then two double-arrow boxes (to move to the first and the last page) and two single arrow boxes (to move one page forward or backward) are provided. In the right side, is a search post box where you can enter a word or series of the word to display all the search results meeting your search word. At the top, below the add new button, there are links such as All, Mine, Published and Trash, that when clicked displays the posts of that particular type in the table. Below the filtering options and to the right of Bulk actions, are one other filter options. This is to filter the post month wise. The drop-down option allows you to choose the posts date wise. The default option is all posts which display all the available posts. After selecting the option from drop-down, click filter button to apply the required changes. (1) Select one post at a time: This is possible by clicking on the check boxes next to the title of the post. (2) Select all the post in given table: This can be done by selecting the title in the header or the footer. By unchecking the checkboxes the reverse action will take place. (3) Reverse Action: The reverse is possible by checking the unchecked or unchecking the checked option. Bulk Edit allows the fields Author, Parent, Template, Comments Allowed, Status and Pings Allowed, to be changed for all the selected Posts. Cancel - Click Cancel to cancel and abort the Bulk Edit of these Posts. Move to Trash: It will move all the selected posts to the trash screen. Clone: This is to create a copy of post that is saved in the draft. Quick Edit is an Immediate Action performed on one Post by clicking the Quick Edit link under the Post Title in the Table of Posts. Quick Edit is just an in-line edit that allows you to change the following items--Title, Slug, Date, Author, Password or Private post box, Parent, Order, Template, Allow Comments, Allow Pings, Status. Cancel - Click Cancel to cancel and abort the Edit of this Post. Update - Click Update to save the Edits made to this Post. After one or more Posts are selected, and after a Bulk Action is specified, the Apply button performs the given Action on the selected Posts. Apply - Click the Apply button to execute the Bulk Action, specified in the Actions pulldown, on the selected Posts. Remember, prior to executing Actions, one or more Posts must be selected, as described before. The Darlic block editor comes with a clean writing interface. At the top, you will enter your post’s title. To add content, you need to add a block. There are multiple add block buttons on the screen that you can click to select and add a block. To know more about blocks you can check this link. (Block Post Link). You will find the option to add a featured image to your post in the right column under the Document settings. You can sort your posts into categories and tags. These help you organize your content into sections and topics. 1. Save draft link allows you to quickly save changes you made to a Darlic post. The editor will also automatically save your changes as you write. 4. Darlic gives you a few options to control the visibility of your post. The default option is ‘Public’ but clicking on it will show you options to make a post private or password protected. 5. Darlic also allows you to control when a post is published. The default option is to publish immediately, but you can also schedule your posts to publish later or even select a past date. 6. Checking the box next to ‘Stick to front page’ will make a post sticky or featured. This makes the specific post appear on top of other posts. There are two easy ways to add tags to your site. 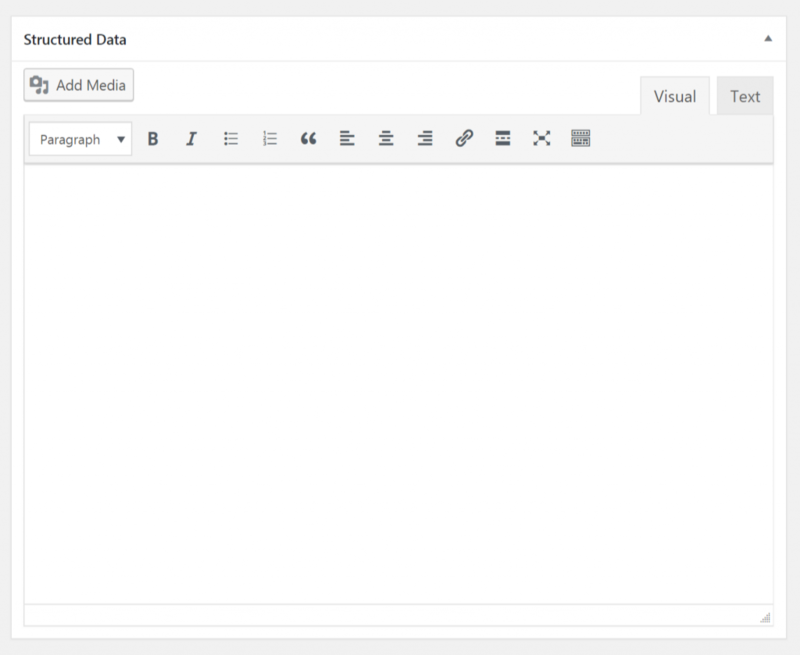 First, when you’re writing a new blog post or editing an existing blog post, you can always quickly add new tags using the Tags box on the right side of your screen. Second, you can also directly add tags by going toPosts → Tags.In this interface, you can both add new tags and manage the existing tags used on your site. (1) Name: The name is how it appears on your site. (2) Slug: The “slug” is the URL-friendly version of the name. It is usually all lowercase and contains only letters, numbers, and hyphens. (3) Description: The description is not prominent by default; however, some themes may show it. On the right side you can apply bulk action to tags. This second interface is helpful because, in addition to simply adding a new tag, you can also set or edit each tag’s URL Slug. Give it an optional title and choose whether or not to show the actual number count. You can use categories to define sections of your site and group related posts. The default category is “Uncategorized” until you change it in your writing section. Name — The name is how it appears on your site. Slug — The “slug” is the URL-friendly version of the name. It is usually all lowercase and contains only letters, numbers, and hyphens. Parent — Categories, unlike tags, can have a hierarchy. You might have a Jazz category, and under that have child categories for Bebop and Big Band. Totally optional. To create a subcategory, just choose another category from the Parent dropdown. Description — The description is not prominent by default; however, some themes may display it. This allows you to add options that you wish to display in the underlying screen. You can add pagination in the screen if your form list increases certain number and you wish to show a specific number of form list on the single page. Simply you can enter the digit in the input box. Apply: At the bottom left of the screen options area, click on the apply button to add the checked options in the scree. : Checkbox in order to select more than one form to apply bulk actions. Title: It is the name of the form with a link, that when clicked takes you to the editing page. ID: It is the unique identification number which is given to each of the forms. This number is visible as part of the URL in the browser status bar. Entries: Displays the number of entries in the form. Views: Displays the number of views. Conversions: Displays the percentage of conversions. Below the screen options appears a search box, where you can write the word or series of words. Once the search form button is clicked you can view the list that matches your searched words. You can perform similar actions simultaneously on more than one form using bulk action option. This option is available above the column header and below the column footer. You can choose your required action from the pull-down box and check the boxes next to the title of all the forms where you want to make changes and then clicking on "Apply" button will make the changes effective. Edit: Direct you the editing screen. Settings: This enables you to make form settings, confirmations and notifications settings. Entries: Directs you to the entries screen. Preview: Before saving the changes you can have a preview of it. Duplicate: Make a copy of the form. Trash: Unwanted forms can be moved to trash. Default Filter: It will let you display only allowed type of entries. You can tick the radio button next to the available options. It can be of one of the type i.e. All, Unread, Starred, Spam and Trash. This option enables you to choose the number of forms that you want to list in single page. Apply: Click on the blue button at the bottom left of the area in order to make your changes effective. This screen enables you to do settings that are divided into two types: One is General Settings and second is Web API. Your Gravity Forms support license key is used to verify your support package, enable automatic updates and receive support. Select yes or no to enable or disable CSS output. Setting this to no will disable the standard Gravity Forms CSS from being included in your theme. Select yes or no to enable or disable HTML5 output. Setting this to no will disable the standard Gravity Forms HTML5 form field output. Select On or Off to enable or disable no-conflict mode. Setting this to On will prevent extraneous scripts and styles from being printed on Gravity Forms admin pages, reducing conflicts with other plugins and themes. Please select the currency for your location. Currency is used for pricing fields and price calculations. Set this to ON to allow Gravity Forms to download and install bug fixes and security updates automatically in the background. Requires a valid license key. 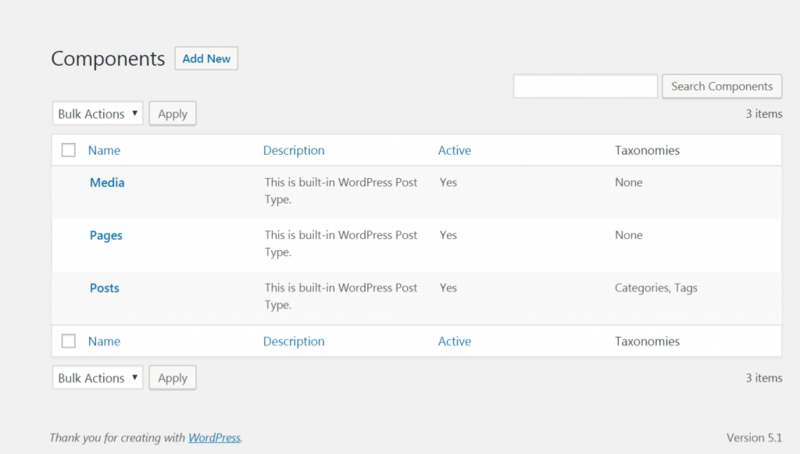 Set this to ON to display the Forms menu in the WordPress top toolbar. 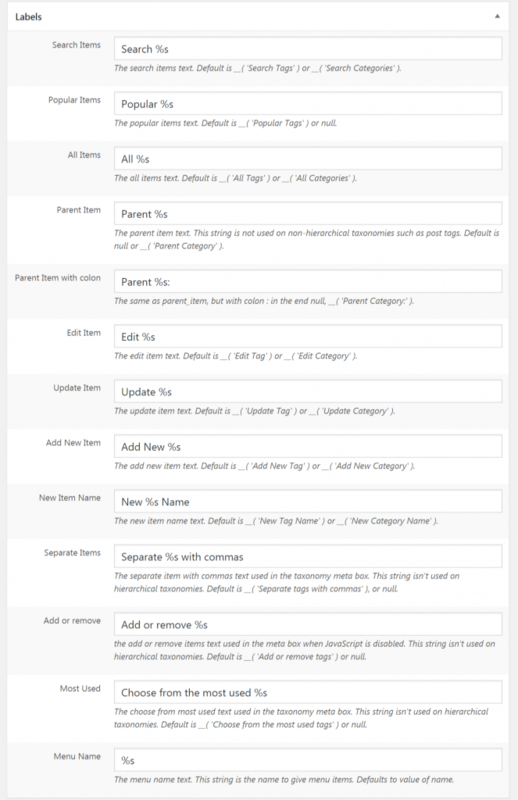 The Forms menu will display the latest ten forms recently opened in the form editor. Set this to ON to enable logging within Gravity Forms. Logging allows you to easily debug the inner workings of Gravity Forms. Gravity Forms integrates with reCAPTCHA, a free CAPTCHA service that helps to digitize books while protecting your forms from spam bots. Please note, these settings are required only if you decide to use the reCAPTCHA field. Enter your reCAPTCHA Site Key, if you do not have a key you can register for one at the provided link. reCAPTCHA is a free service. Enter your reCAPTCHA Secret Key, if you do not have a key you can register for one at the provided link. reCAPTCHA is a free service. Save Settings: Click this button to execute the settings. The Gravity Forms API allows developers to interact with this install via a JSON REST API. Check the box next to the enabled box to enable access to the API. Update: click on the update button to save your changes. Select a form to export entries. Once you have selected a form you may select the fields you would like to export and then define optional filters for field values and the date range. When you click the download button below, Gravity Forms will create a CSV file for you to save to your computer. Select the forms you would like to export. When you click the download button below, Gravity Forms will create a JSON file for you to save to your computer. Once you've saved the download file, you can use the Import tool to import the forms. Select the Gravity Forms export files you would like to import. When you click the import button, Gravity Forms will import the forms. The following is a system report containing useful technical information for troubleshooting issues. If you need further help after viewing the report, click on the "Copy System Report" button below to copy the report and paste it in your message to support. Please review the plugin documentation from below specified links if you still can't find the answer. Comments are the way by which visitors to your website interacts with you and other readers. It enables them to add their input on the topic, ask questions, and provide feedback. This makes the community interaction possible around your content. The comment management system makes it easy for you to easily manage the comments. In the top right of the screen, click on the tab to expand this option. Choose the options that you want to display on the underlying screen. You can select the column headings by clicking the checkbox next to the text. This option allows you to select the number of items that you want to display on the screen. You just have to enter the number in the input field to get the required results. When you hover over any row, some links appears in the comments columns, which allows you to makes some quick changes. Approve: You can easily moderate comments by marking as approved or unapproved the previously approved comments. Reply: This link enables you to respond quickly. Just click on the link and an editor will appear where you can type the comment. Quick Edit: This allows you to make rapid editing. Edit: This link will take you to the new editing screen. Spam: This is helpful while dealing with spam messages. Trash: This allows you to send a message to trash. The links available below the title of the screen allows you to control the display of comments on the basis of the type in the underlying table. All: Displays all the available comments. Pending: Displays only those comments which require moderation. Approved: Displays the comments that have received your consent. Spam: Displays comments that are irrelevant. Trash: All the deleted comments are moved to the trash. Pages are similar to posts, but are neither categorized nor tagged. 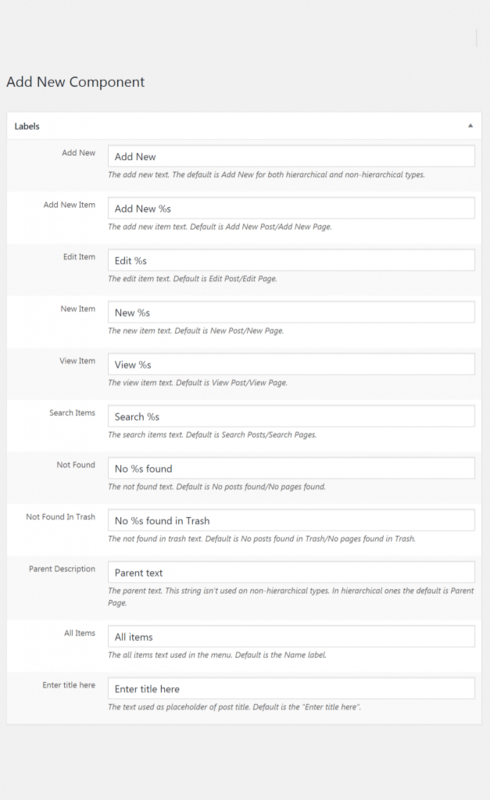 Hierarchy of pages is possible, by assigning child pages to a parent page. This screen provides features such as editing, quick edits, view. It is also possible to do editing in bulk, filtering and search makes it further easy to easily search the pages matching certain criteria. 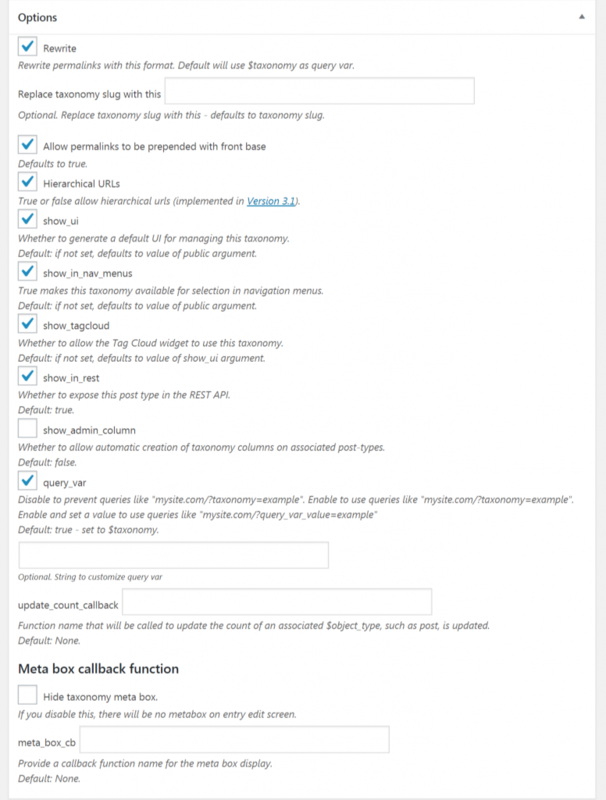 : The checkbox is clicked to select the pages to perform bulk action. Title: This is the title of the page displayed as a link. When title is clicked it takes you to the edit page screen. The text next to the title of page displays the nature of page i.e if it is a draft, pending or a password protected type. "ID": This is not displayed as a column of the table. When mouse hovers over the Page Title, the Page ID is revealed as a part of the URL, displayed in the browser status bar. It is a unique number that is used by WordPress's database to identify the pages. Author: This column displays the author of the page. It is displayed as a link. By clicking a particular author link, the list of all the pages by the authored user is displayed in the tabular form. Comment Bubble: It is the column heading. Each page row has this section where number of comments for the pages are displayed. When blue comment bubble is clicked it displays comment screen so that comments can be moderated. Date: This column displays the date "Last Published" for the published pages and "Last Modified" for the rest of pages. Columns with headings title, comment and date allows you to sort the table of pages in ascending or descending order. By hovering over the headings, up or down arrows appear. Accordingly click on the heading to sort the table page. Below the screen options, the number of items displayed per page is mentioned. If the pages increase by one page of Pages then two double-arrow boxes (to move to the first and the last page) and two single arrow boxes (to move one page forward or backward) are provided. In the right side, is a search page box where you can enter a word or series of word to display all the search results meeting your search word. At the top, below the add new button, there are links such as All, Mine, Published and Draft, that when clicked displays the pages of that particular type in the table. This is to filter the pages month wise. The drop down option allows you to choose the pages date wise. The default option is all pages which displays all of available pages. (1) Select one page at a time: This is possible by clicking on the check boxes next to the title of the page. (2) Select all the pages in given table: This can be done by selecting the title in the header or the footer. By unchecking the checkboxes the reverse action will take place. Bulk Edit allows the fields Author, Parent, Template, Comments Allowed, Statusand Pings Allowed, to be changed for all the selected Pages. Cancel - Click Cancel to cancel and abort the Bulk Edit of these Pages. Update - Click Update to save the Bulk Edits made to these Pages. Move to Trash: It will move all the selected pages to the trash screen. Clone: This is to create a copy of page that is saved in the draft. Quick Edit is an Immediate Action performed on one Page by clicking the Quick Edit link under the Page Title in the Table of Pages. Quick Edit is just an in-line edit that allows you to change the following items--Title, Slug, Date, Author, Password or Private page box, Parent, Order, Template, Allow Comments, Allow Pings, Status. Cancel - Click Cancel to cancel and abort the Edit of this Page. Add new page provides you an option to create new page for your website. Show Top Bar: You can choose to show or hide the top bar. 100% Top bar width: Select 'Yes' to set the top bar to 100% of the browser width. It only works with wide layout mode. 100% Header Width: Set Yes to set the header to 100% of the browser width. Only works with wide layout mode. Show Logo: Enable the logo on the header. Show Site Title: Enable the site title on header. Show Tagline:Enable the Tagline on header. Show Home Icon: Enable home icon on main menu. Show Home Link: Enable home link on main menu. Show Menu Description: Enable menu description on main menu. Show Search Icon in Main Menu: Enable Search on main menu. Drop down Menu Indicator: Enable arrow indicators next to parent level menu items. Show Slider on Page: You can choose to show slider on page. 100% Slider Width: Enables 100% Slider Width. Select Slider: Select Slider for the current page. Custom CSS: Insert custom CSS for the page. Custom JS: Insert custom JS for the page. Meta Keywords: Enter a series of keywords relevant to the page with comma sepration. For eg: Wordpress, Theme, Page, Post. Title: Enter the title of your site. Description: Create a description in few words. URL: Provide the URL in the input box. Visibility: You can set the audience for your page. Different possibility includes (1) Public: It is by default and page is visible to everyone. (2) Private: Selecting this option will make the page only visible to you and with special permissions it can be visible to the editor. (3) Protected: Clicking on the radio button for this option, followed by Ok button will generate a text box into which you can enter a password. Only those who have the access to the password can view the page. Publish: Click immediately link near publish to either schedule the page or publish the page at the same time. Pending Review: You check this option with tick mark to add the page in the pending review. 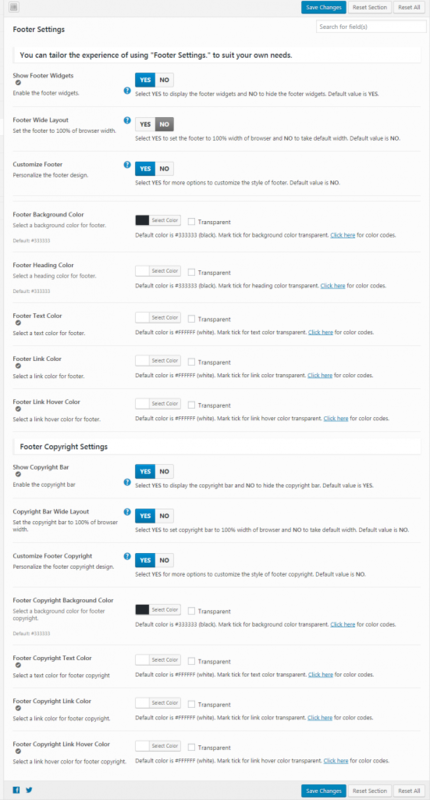 This screen is used for managing your installed themes. Aside from the default theme(s) included with your WordPress installation, themes are designed and developed by third parties. The current theme is displayed highlighted as the first theme. The search for installed themes will search for terms in their name, description, author, or tag..The search results will be updated as you type. Tap or hover on any theme then click the Live Preview button to see a live preview of that theme and change theme options in a separate, full-screen view. You can also find a Live Preview button at the bottom of the theme details screen. Any installed theme can be previewed and customized in this way. The theme being previewed is fully interactive — navigate to different pages to see how the theme handles posts, archives, and other page templates. 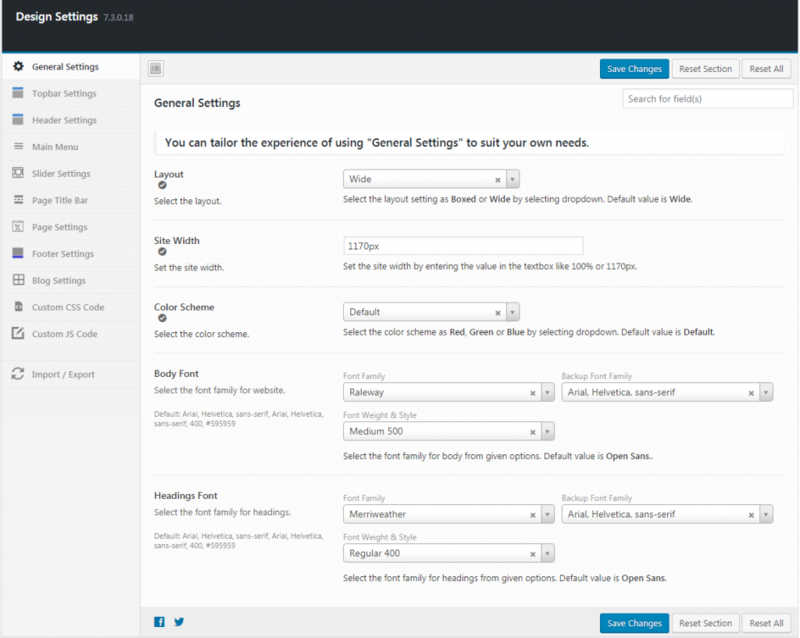 The settings may differ depending on what theme features the theme being previewed supports. To accept the new settings and activate the theme all in one step, click the Publish & Activate button above the menu. When previewing on smaller monitors, you can use the collapse icon at the bottom of the left-hand pane. 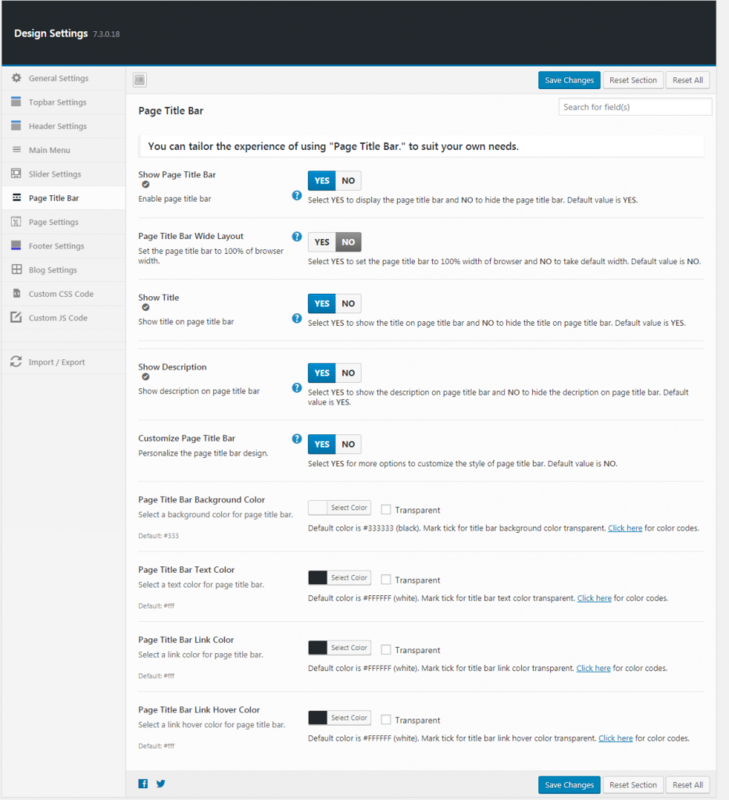 This will hide the pane, giving you more room to preview your site in the new theme. To bring the pane back, click on the collapse icon again. Color Scheme: Select the color scheme as Red, Green & Blue& from the pull-down box. Otherwise, it will show default color. Body Font: Select the font-family,backup and font-weight style from the available drop-down boxes. Default value is open sans. 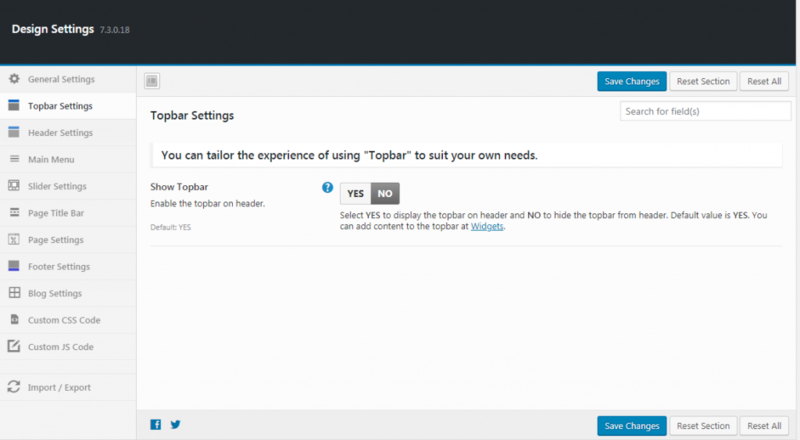 Show Topbar: Select YES to display the topbar on header and NO to hide the topbarfrom header. By default it is enabled. You can add content to the topbar from Widgets. Select YES to display the navigation and NO to hide the navigation. Default value is YES>. Select YES to set the slider to 100% width of browser and YES to take default width. Default value is NO. Select YES to set the page title bar to 100% width of browser and NO to take default width. Default value is YES. Site Title: Enter the title of the site. Tagline: Write a catchphrase or slogan that best describes your site. Site Icons are what you see in browser tabs, bookmark bars, and within the WordPress mobile apps. Upload one here! Remove: At the bottom of the screen is remove button. You can click this button to remove the site icon. Change Image: Click on the change image button, then either upload the image or chose one from the media library. Publish: In the top right corner click the blue colored button to save your changes. Clicking on the menu item in the sidebar, will open a new customize screen where you can create your new menu by clicking on the "Create New Menu". Menu Name: Type the name of the menu in the text box. Menu Location: Chose the location where you want to place the menu. Check the box next to text primary to place the menu in the primary location. But if you plan to use a widget you can skip this step. Click “Next” to start adding links to your new menu. Click “Add Items” to start putting pages, categories, and custom links in your menu. Add as many things as you’d like. Your theme can display menus in one location. Your theme can display menus in one location. Select which menu you would like to use. If your theme has widget areas, you can also add menus there. Visit the Widgets panel and add a “Navigation Menu widget” to display a menu in a sidebar or footer. Check the box next to text Primary (Current: Primary Menu). As here’s where this menu appears. If you’d like to change that, pick another location. Check the box if you want to automatically add new top-level pages to this menu. Themes usually have at least 1 or 2 sidebars. Sidebars are the narrow columns to the left or right of your blog posts. Each section in the sidebar is known as a "Widget" that you can add or remove, and move up or down. You configure Widgets in your sidebar by via this Widgets menu. Although you can configure Widgets via Administration > Appearance > Widgets menu, you can see your changes in live preview of this Customizer. 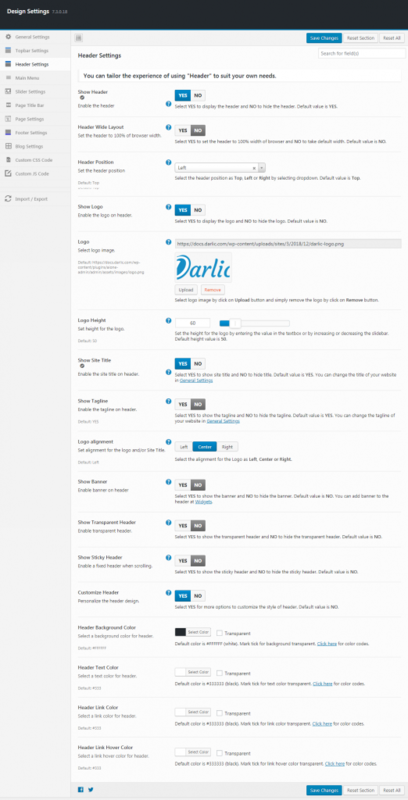 Darlic provides access to 8 different widget areas. Click on the widgets in the sidebar menu to check the list of widget areas. Aione-Breadcrumbs: This is to add the breadcrumbs in the top area of the page. Clicking on the down ward arrow, a text box appears, where you can insert the required breadcrumbs. Below the text box appears remove and done link. If you have made the required changes you can click on the done link and if breadcrumbs already exists you can and you wish to remove them then click on the remove link. Search: Clicking on the downward arrow, appears the area where you can configure your search box. The area provides a text box to fill the title for the search box and below the box you can click on the done link to save your changes. If the box is already there then you can and now you don't find it useful there you can click on the remove link to delete the search box from the page. Reorder: This link is to change the order of the widgets. Add a widget: The button lies next to the reorder link and it allows you to add new widgets in the area. 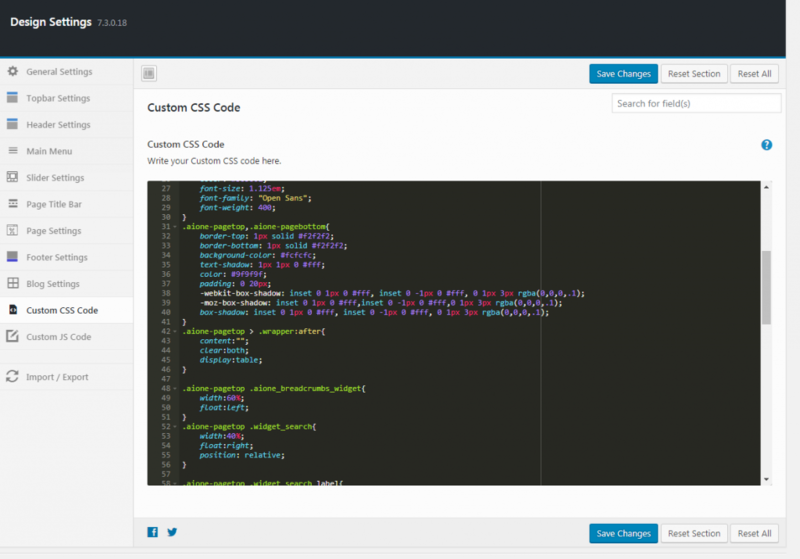 Publish: This blue button at the top of the customizer screen allows you to make your changes final. That is all the made changes are saved on the page. FOOTER is divided into four columns and each column can be configured by adding desired widgets. Footer Column 1: Clicking on the downward arrows results in a new screen to add or remove "About" widget. About: This widget lets you have a short description of the site in the footer section. When clicked on the downward arrow appears a text editor area where you can add text and customize it as per your needs. Click the done link once you have made your changes. Remove the widget by clicking on the remove link if you find it irrelevant in the column. Footer Column 2: Click on the downward arrow to make changes in the second column of the footer. Already existing widget is of social icons that you can either replace with another widget or can keep the same. Clicking on the widget opens a area where you can customize your social icons. Title: Enter the title in the text box. Size: Choose the size from the pull down box. You can make it small, medium, large or extra large. 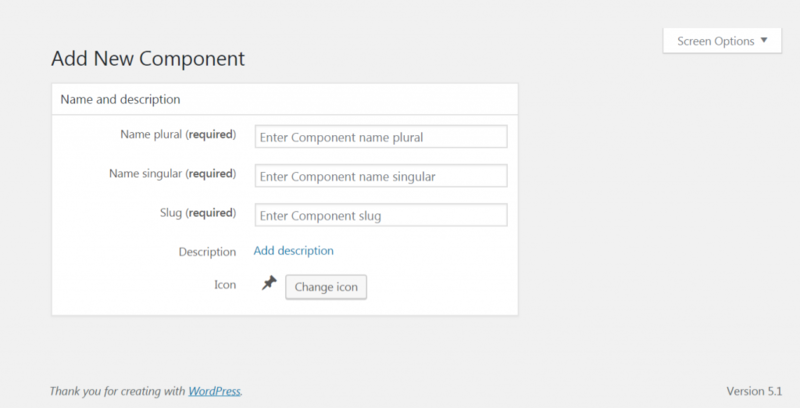 Icons Theme: This option enables you to select the color for icons from the drop-down box. List of colors includes dark, dark solid, dark outline, light, light solid and light outline. Icon Style: Choose a style for your icons. Make it as it suits your design. Available styles include rounded, circle and square. Icon Direction: Choose horizontal or vertical direction for your icons. Show labels: Check this box to show the labels on icons and uncheck to hide the labels. This widget allows you to add links for listed social media sites. For each site a text box is provided where you can add the link of your site. Click on done link once you are finished with all the required changes. Remove: you can delete the widget from the customize widget screen and from the site as well by clicking on remove link. Reorder: This link lets you change the order of the widgets. 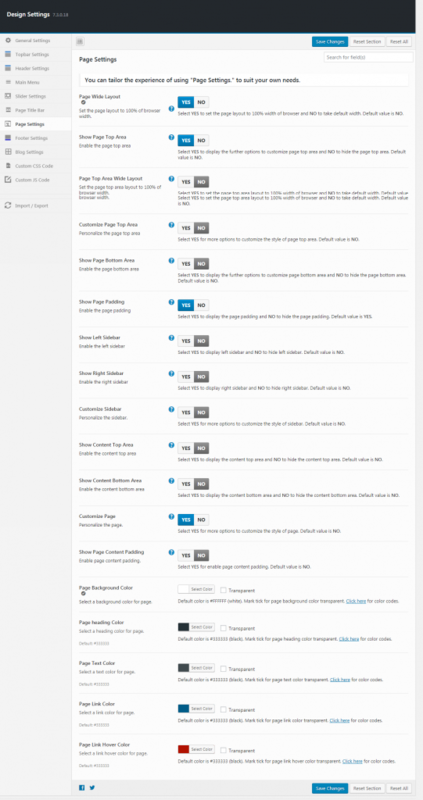 Footer Column 3: You can customize the column as per your design needs but one can add links widget in this screen. The links of different pages can be added. By clicking the downward arrow on the links widget which will display an editor to add the links. Save your changes by clicking the done button. If the live preview of the site looks good with the changes that you have made you can then click on publish button. In the similar way you can choose different widgets for below listed widget areas. Click on the radio button to select your homepage displays. Select your latest posts or a static page. Homepage: Form the pull down box select your homepage. Add New Page: Click on the add new button. A text box will appear where you can add new page title. Then click on the add button to list page in the menu. Select the page from the pull down box. Widgets are the blocks that perform a specific function. These are added in the widget-ready areas or the sidebars. The widget ready areas vary from theme to theme. Darlic provides you below listed areas and also you can create your own widget area. To activate a widget drag it to a sidebar or click on it. Clicking on the desired widget opens the list of available widget-ready areas to select and then click on the blue colored "Add Widget" button. Click on "Cancel" button to go back. To deactivate the existing widgets in the sidebar simply drag them back or click on the downward arrow, it will expand the widget at the bottom left click on the delete link to remove the widget settings. Aione Breadcrumbs: It is a way to retrace your steps back to where you started. Add the breadcrumbs name in the text box using separator. 2. Aione Designed by: It is to display the name of the company who has designed the website. Company Name: Type the name of the company in the text box. Company Website: Enter the company website name. Tooltip: Enter the message you want to display when cursor is moved over the hyperlink. Title: Enter the name that best suits your slider. Select Slider: Choose the slider from the drop down menu you want to add in the widget-ready area. 4. Aione Social-Share: To encourage more social media sharing from your website. Icon Size: Select the size (small, medium, large, extra-large) for icons. Icon Theme: Choose the theme (Dark, Dark-Solid, Dark-Outline, Light, Light-Solid, Light-Outline) for icons from the pull-down box. Icon Style: Give a style (square, rounded, circle) to the icons. Icon Direction: Put the icons in either horizontal or vertical direction. Show Labels: Check the box to display the labels. Mark tick in the boxes next to the social media options to add them on the web page and save your changes to make it effective. Aione Copyright: Add a copyright text in the footer area. Aione Social Icons: Displays a list of social media website icons and a link to your profile. Add the link in the text box below the name of social media site to add them on the web page and save your changes to make it effective. Archives: Bring together all your content on sidebar. You can create a monthly archive using this widget. Title: Enter the text to give it a proper name. Calendar: Choose this widget if you wish to display links to your post by date. Title: Enter the name of the calendar to be displayed above the calendar in the widget-ready area. Custom HTML: This widget allows you to add custom HTML code to the widget area. Gallery: Create a new gallery in the widget-ready area. Title: Give a title for the gallery to be displayed on the gallery section. No images selected: Click on the area to choose an image from the media or upload the image from the personal computer. Meta: Login, RSS, & WordPress.org links. Title: Enter the text to be displayed on the web page. Pages: A list of your site's Pages. Title: Enter the title to be displayed on the web page. Exclude: Use this option if you want to exclude few pages from the list. You need to put the Page IDs, separated by commas. Recent Posts: Display the most recent posts. Title: Enter the title to be displayed above the posts. Number of posts to show: Enter the number in the input box to display the required number of posts. Tick mark in the box if you want to display post date. Search: Select this widget to display search box. Title: Enter the title to be displayed above the search box. Title: Enter the title of the content. 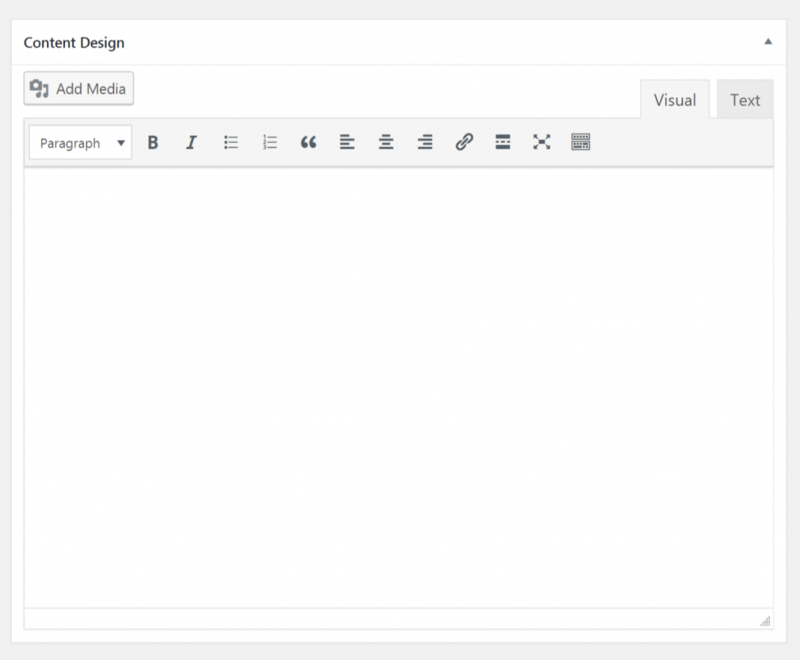 Editor: Type in the text that is to be displayed and customize it as per your requirement. Title: Enter the title to be displayed above the widget. Audio: Display an audio player. Audio: Upload the audio from the personal computer or choose from the media. Add Audio: Click on add audio button to save your changes. Categories: A list or dropdown of categories. Select a form: Choose the form from the drop down box. Click on the advanced options link for more settings. Tab Index Start: Enter the number in the input box. If you have other forms on the page (i.e. Comments Form), specify a higher tab index start value so that your Gravity Form does not end up with the same tab indices as your other forms. To disable the tab index, enter 0 (zero). Title: Enter the title to be displayed above the image. Either choose the image from the media or upload from the personal computer. Add Image: Click on the add image button to confirm the changes that are made. Navigation Menu: Add navigation menu to the widget-ready area. Select the type of the menu that you want to display. Recent Comments: Add the most recent comments to the side bar. Title: Enter the title you want to display above the comments. Number of comments to show: Enter the number in the input box. RSS: Entries from any RSS or Atom feed. Below specified settings are required to be made in the RSS widget. Title: Enter the title to be displayed above the Tag Cloud. Taxonomy: Select one from the pull down box. Title: Enter the name to be specified above the video. Add Video: Click on this button save the video. Inactive Sidebar: Sidebars that are removed from the website but you wish to keep their settings you can drag them in this area. Inactive Widgets: Similar to sidebars, here you can keep those widgets which have been removed from the site but you want to keep their settings saved. Clear Inactive Widgets: Use this button in case you want to remove all the inactive widgets. You will not be able to restore any customization. The Appearance Menus Screen enables a user to create custom navigation menu in place of a theme’s default menu. Support for this feature must be registered in the theme's functions.php file. 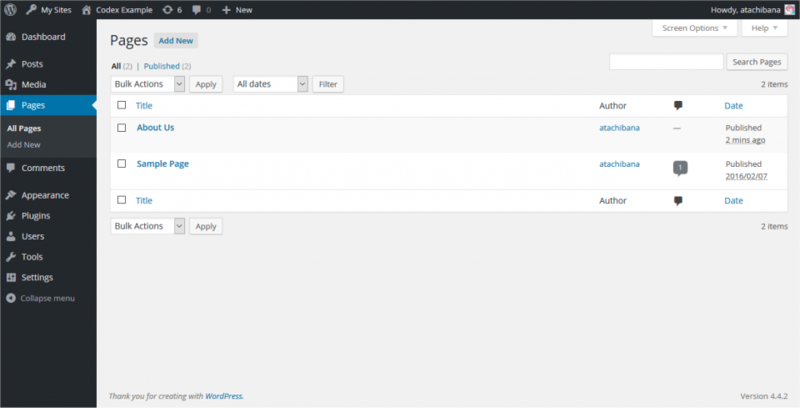 The WordPress Menu User Guide describes the details of adding, deleting, and maintaining menus. To create a new custom menu, click the "create a new menu" link, give the menu a name, and click Create Menu button. Note: If the current theme does not support menus, the message, "The current theme does not natively support menus, but you can use the “Custom Menu” widget to add any menus you create here to the theme’s sidebar." will display informing you that widgets can be used to put custom menus in a sidebar. You can create multiple menus. If your theme includes support for more than one menu, you can choose which custom menu to associate with each. You can also use custom menus in conjunction with the Custom Menus widget. Automatically add new top-level pages Check this box so that anytime a new top-level Page is created, that Page will automatically be added to the menuTheme Locations If more than one menu is supported, you can select where this menu should go.Delete Menu Click this link to delete the menu. Deleting also deletes the menu items.Save menu Click this button to save the menu. 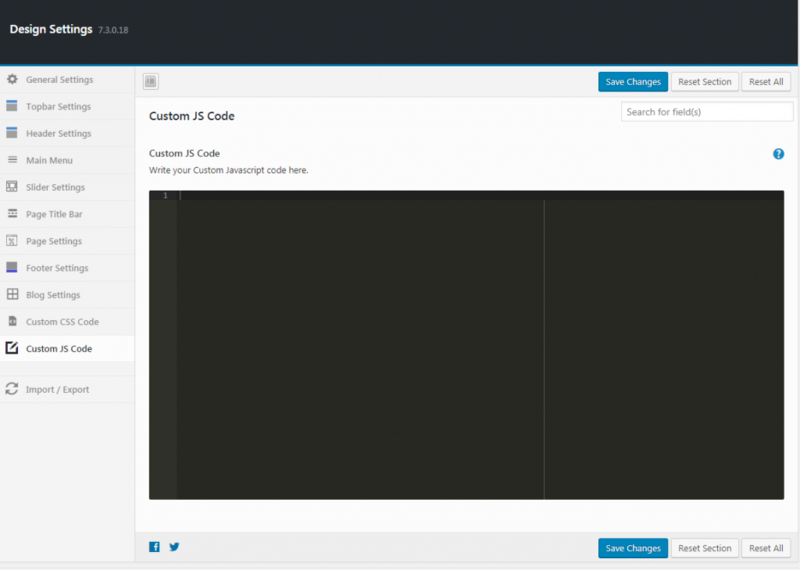 This screenshot shows an example of the About Menu Item displayed in a hierarchy under the Home Menu Item. Location From the pull down box, select the menu that will be presented in the location such as Primary LocationSave Click to save the location selection. Note: You have to open your site to confirm the menu appearance. The Theme Customizer enable live preview of the placement of your menu. Administration > Appearance > Customize and click Navigation. Still you need this screen because there are no function to create new menu in the Theme Customizer. Custom links allow links defined by you that don't fit into the other types of menu items.URLEnter the URL of the custom link.LabelEnter the label describing the custom link URL.Add to MenuClick this button to add this as a Custom item to the menu. Once added to the menu, the item will display to the right with the label, the word Custom and a configuration arrow that can be used to change the URL or Label as well as Remove the custom link from the menu. Links to specific posts can be added to the menu. Three tabs, Most Recent, View All, and Search, determines what posts are displayed for selection as a menu item.CheckboxCheck the box next to the item to add to the menu.Select AllCause the Checkbox to be checked on all items. If you click this link again, all items will be unchecked.Add to MenuClick this button to add the selected items to the menu. Links to specific pages can be added to the menu. Three tabs, Most Recent, View All, and Search, determines what posts are displayed for selection as a menu item. When the View All tab is displayed, a Home choice, while not an actual page, also becomes available to add to the menu. 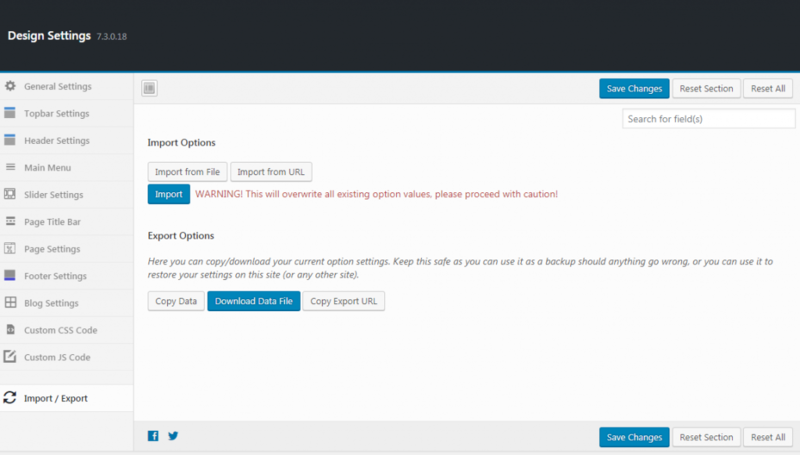 The Checkbox, Select All, and Add to Menu options, describe in the Posts section, are also displayed in this module. Categories can also be added to the menu. Three tabs, Most Recent, View All, and Search, determines what categories are displayed for selection as a menu item. 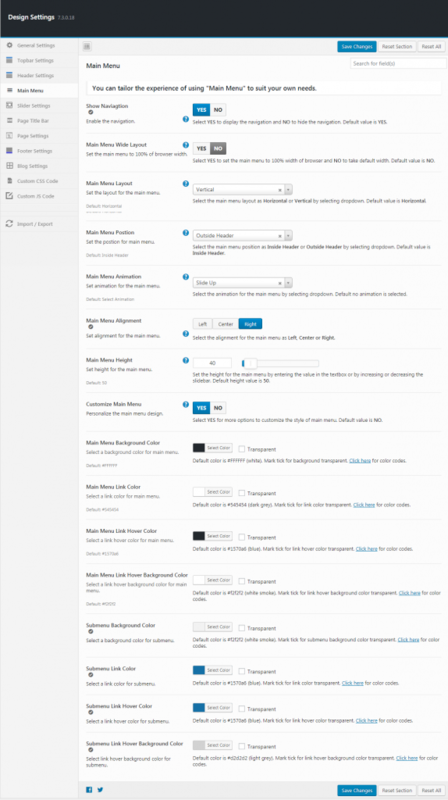 The list of categories to select from do not display with any hierarchy, though that may be subject to change in future versions of WordPress. The Checkbox, Select All, and Add to Menu options, describe in the Posts section, are also displayed in this module. Post Tags can also be added to menus. Three tabs, Most Recent, View All, and Search, determines what categories are displayed for selection as a menu item. 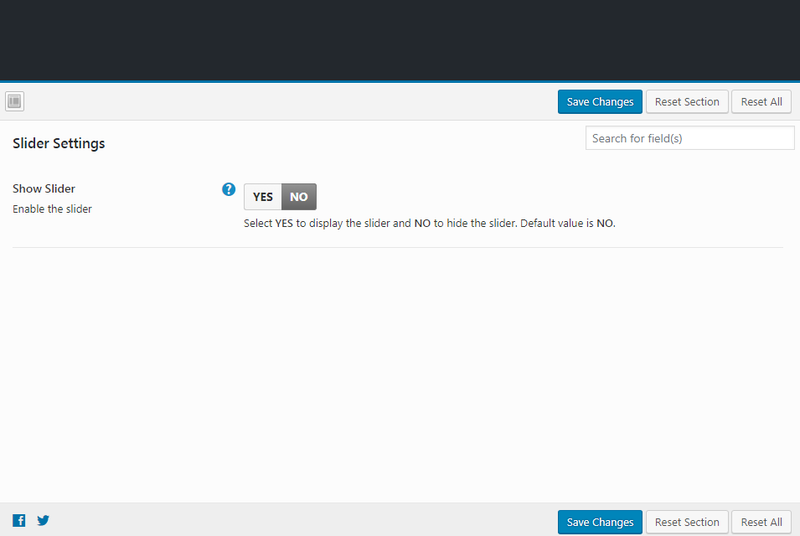 The Checkbox, Select All, and Add to Menu options, describe in the Posts section, are also displayed in this module. 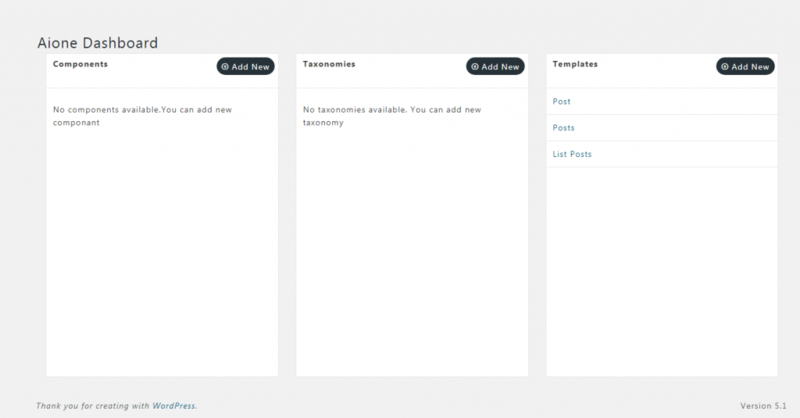 If you have added custom post types and taxonomies, those types will also be available to add as menu items. 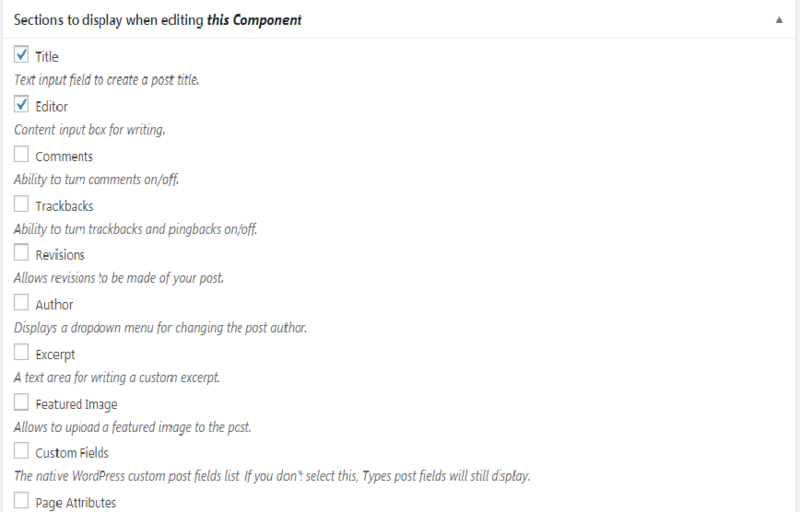 If you don't see your custom post types or taxonomies, check the Screen Options to ensure those modules are set to display. The options under each of the custom post type and taxonomy modules correspond to those used for Posts, Pages, Categories, and Post Tags. Each Menu Item has a configuration arrow on the right side of the Menu Item title, that when clicked opens the configuration box. Click the arrow a second time closed the configuration box. If you don't see Link Target, CSS Classes, Link Relationship (XFN), and Description, then under Screen Options make sure those boxes are checked to expose them here.